Chain Partners’ research center has unveiled a comprehensive research report on the cryptocurrency over-the-counter (OTC) market. 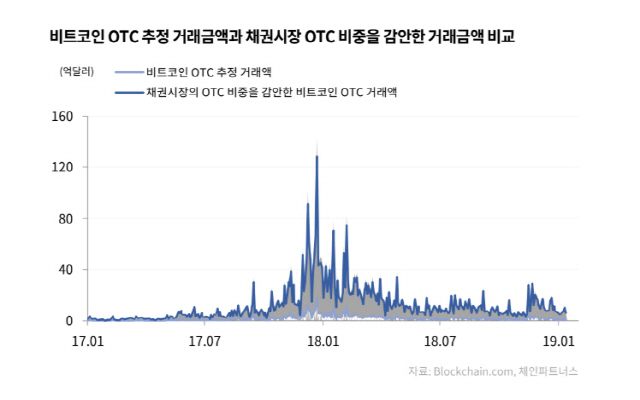 In the report entitled A “look at the OTC market using the rule of five Ws and one H” released Thursday, the think tank said the cryptocurrency OTC market will continue to expand. OTC trading refers to transactions of investment assets such as equities, bonds and derivatives done directly between two parties without the supervision of an exchange. OTC trading in traditional financial markets involves shares of unlisted companies typically; the bond OTC market is intended to link dealers with traders. The digital asset OTC market enables brokers to earn transaction fees by connecting buyers and sellers. According to the report, Goldman Sachs-backed startup, Circle, executed $24 billion OTC trades in 36 countries last year. Trades posted by the top 10 exchanges, as measured by CoinMarketCap, amounted to $119.8 billion in the last one month. 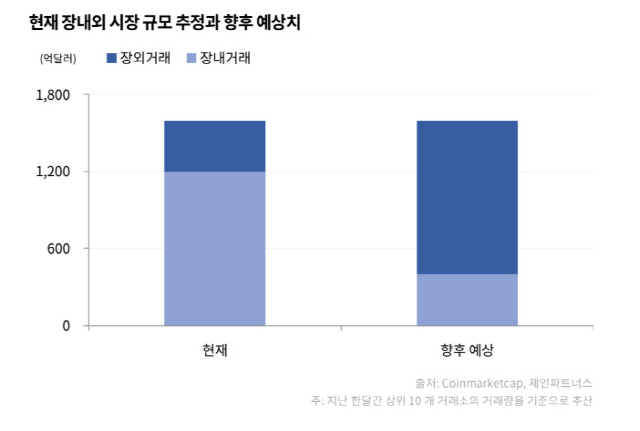 Considering that the digital asset OTC market accounts for 25% of total trades, it is presumed that about $40 billion assets were traded in the OTC market in the one-month period. Given the characteristics of the digital asset market, ICO projects, exchanges, mining pools and big traders prefer OTC trading. “There have been some cases in which traders were unable to buy as much as they want because of the lack of liquidity. ‘Whales’ prefer OTC trading because the OTC market is also advantageous in cost effectiveness,” said the report from the Chain Partners’ research center. That is, the OTC market is satisfactory in terms of prices and convenience.